Finally we’re seeing consistent HOT summer days, which means you’ve been hitting up the beaches and pools as often as possible to make up for a rainy May. 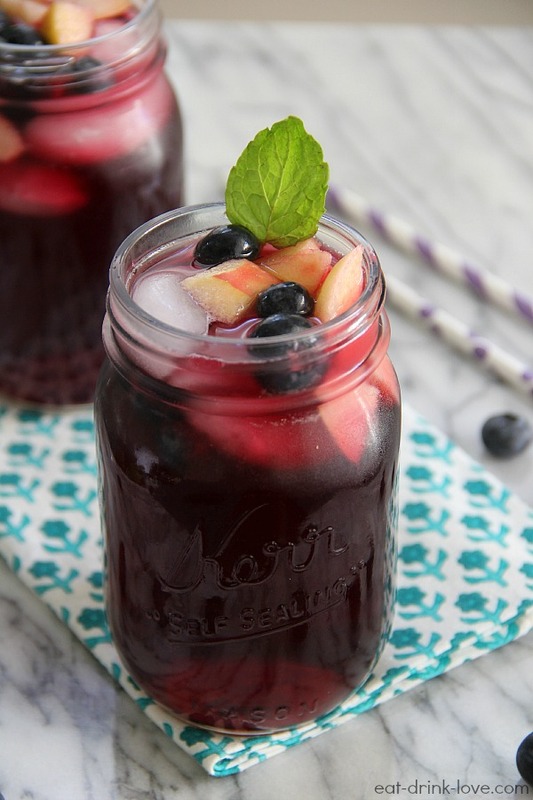 You’ll need to stay refreshed laying out in the hot sun – and what better to keep refreshed with with some homemade Sangria? 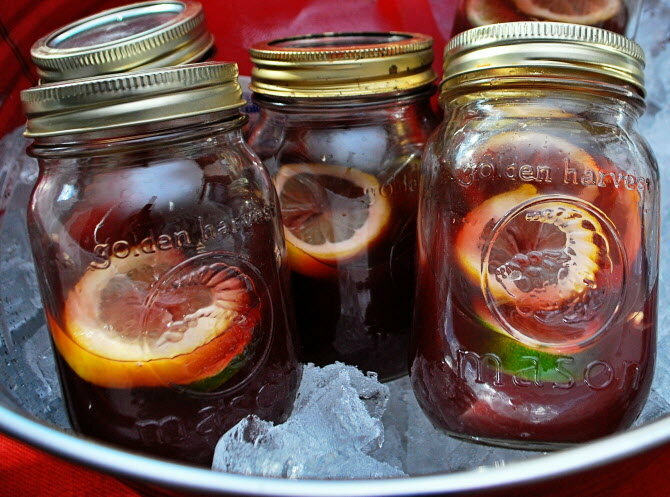 Make a huge pitcher and divide it up into personal Mason Jars – easily stored in a cooler. 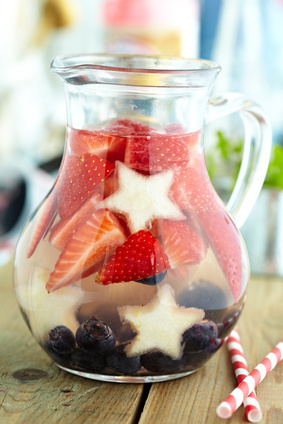 Check out our favorite Red, White & Rosé Sangria recipes, just in time for the 4th! Mix all of the ingredients together and store in a sealed container in the fridge for at least 24 hours. Serve over ice. 2 bottles Wicked Sauvignon Blanc. ½ cup fresh lemon juice. Mix all of the ingredients together and refrigerate for 4-6 hours in a sealed container. Serve over ice. 1/4 cup crème de cassis. 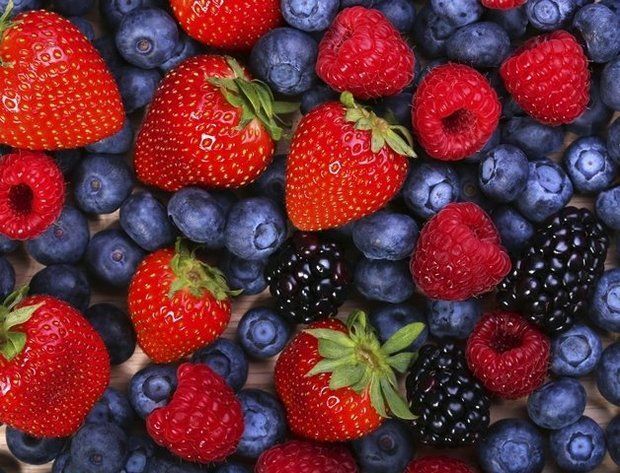 1 1/2 of mixed blackberries, blueberries, and raspberries. Heat the sugar, water and crème de cassis in a saucepan until the sugar is dissolved. Add to the rest of the ingredients in a pitcher and chill for 4 hours. Serve over ice. May you enjoy your beach day, your sangria, and the company you have. Remember sunscreen, and extra wine for when the sangria runs out! 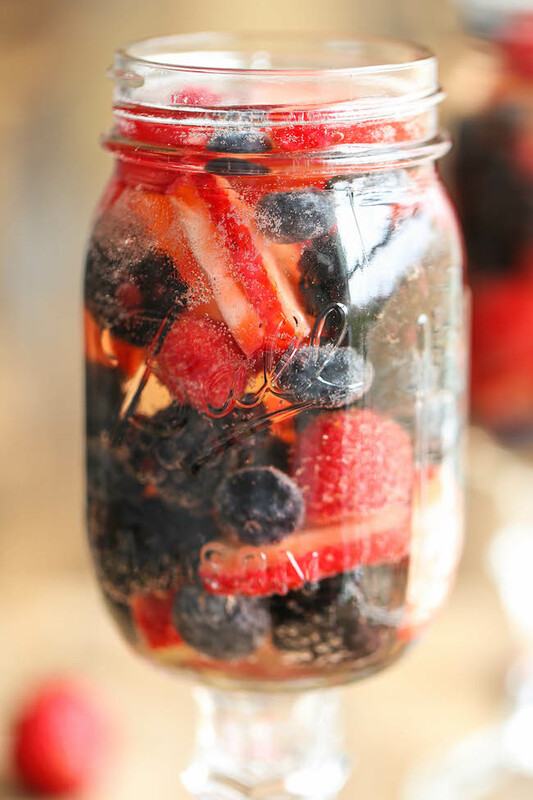 This entry was posted in Recipes, Wine and tagged 4h of July, Beach, Boston, Fruit, Pool, sangria, Summer, Wicked, Wicked Wine, Wine. Bookmark the permalink.